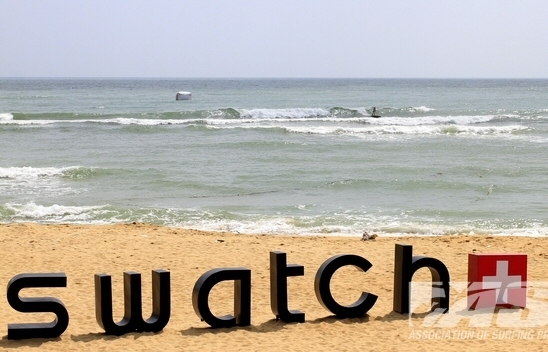 The SWATCH Girls Pro China hosted by Wanning is back on today at Riyuewan Bay. The surf is 2 – 3 foot (1.5 meter), with super clean long left-handers peeling down the beach. The SWATCH Girls Pro China is the second of two events on the ASP Women’s World Longboard Tour and the event that will decide the 2011 ASP Women’s World Longboard Champion. The event could finish today as the surf is forecast to drop off tomorrow, we could see a new ASP Women’s World Longboard Champion crowned in the afternoon. "The surf looks really fun right now," Contest Director Harley Ingleby said. "There’s a great chance we will finish today. I’d rather have a long day and finish in good waves than wait till tomorrow and possibly have smaller, more inconstant surf for the finals. But we will see how things go as the day progresses." The SWATCH Girls Pro China hosted by Wanning will run from 26 – 30 October.